Swimming pool comes in many shapes, forms and size. When we started to plan to have a swimming pool in our vacant places we usually come to think of the best design that will make our house look elegant and luxurious. We need to be smart enough to choose the best design and style according to its shape and size. We have already shared to you the images of different shapes of swimming pool in our previous article that you may consider. Now we are going to amaze you with the set of Lazy L pools design that may help or guide you to finally decide the better design you like. 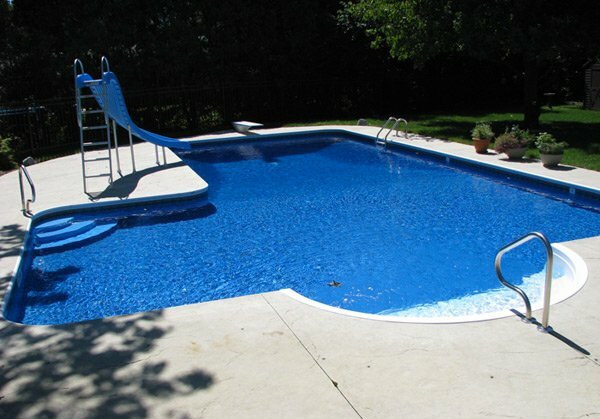 Lazy L shaped swimming designs consists of two small rectangles joined at right angle. 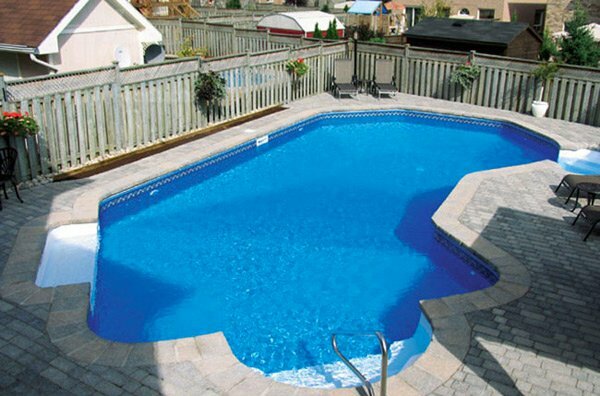 They say that this kind of shape for swimming pool can be used to strongly define the shallow and deep ends. It is said to be the best options when the deep end of the pool is meant for diving. On the other hand, this Lazy L shaped pool can make the best use of space on the properties where the backyard has a similar shape. Moreover, a variation is the Lazy L in which the angle between the two parts of the pool is less severe 45 degrees. So are you ready to witness the different designs of 15 Lazy L Shaped Swimming Pools? Why don’t you check the images below? Colourful chairs placed in the sides of this swimming pool add life plus the tall trees surrounded the area. 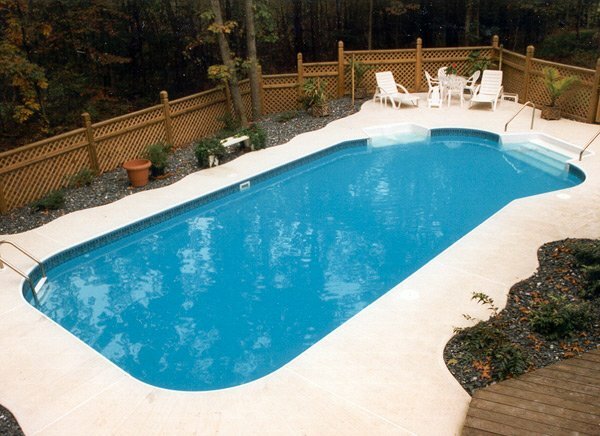 Here is the clean and neat swimming pool that will surely offer a cool bath when you dive on it. In summer time, the homeowner enjoy swimming here as it is surrounded by the green trees and plants. This may be simple a swimming pool but it can be considered as one of the best highlights of the house. The vivid lights installed here have a relaxing effect especially during night time. 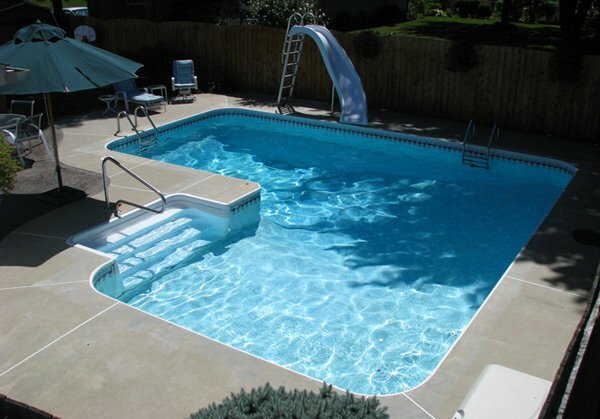 This area is spacious that is well enough to accommodate this shape of swimming pool. Here is a small diving area that will add to the enjoyment of the family. This shape is best suited to make use of the available space of the outdoor. 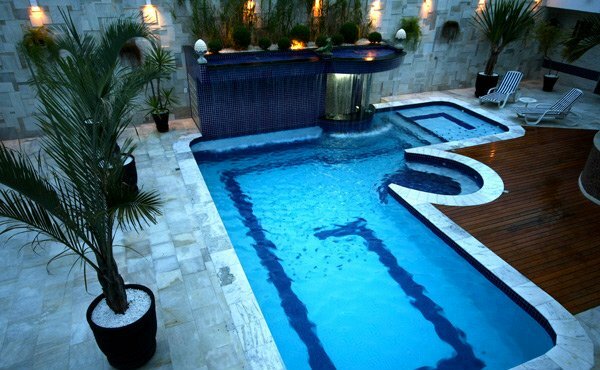 This kind of swimming pool helps in making this house looks more luxurious and elegant. This shape of swimming pool can give more area for plants and landscapes. 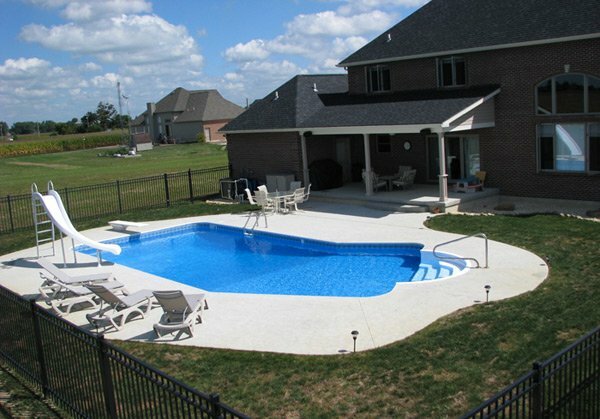 The blue tiles used in the floor for this swimming pool matched the color of the house. A simple swimming pool area with a diving slide is enough to welcome the guests of the family. The peaceful movement of the water in this swimming pool is enough to provide comfort and relaxing mood to the homeowner. 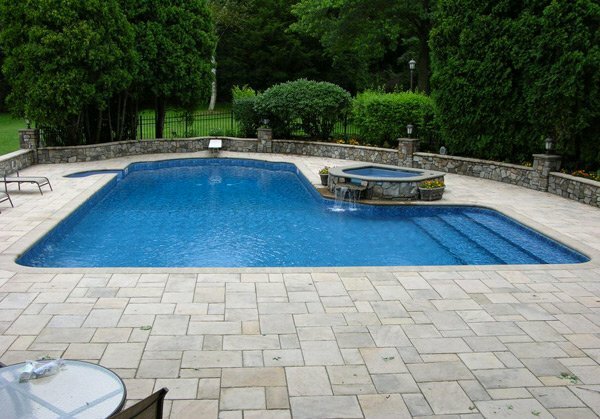 A well space outdoor can surely accommodate this Lazy L shaped pools. The vacant area can be used for landscape and additional furniture to make it more attractive. Thus we can say that the Lazy L shaped pool designs are also amazing in a sense that it can also provide wide space for diving. We can even highly recommend this shape for all those homeowners who have a member who love to engage in a swimming pool competition, too. Also these are becoming unique when the homeowner customized it by matching it with other excellent furniture. 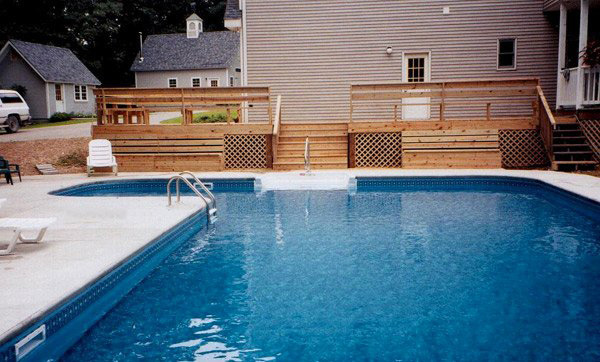 So we hope that once again we gave you other inspirational ideas that you may consider in choosing the Lazy L shaped swimming pools.